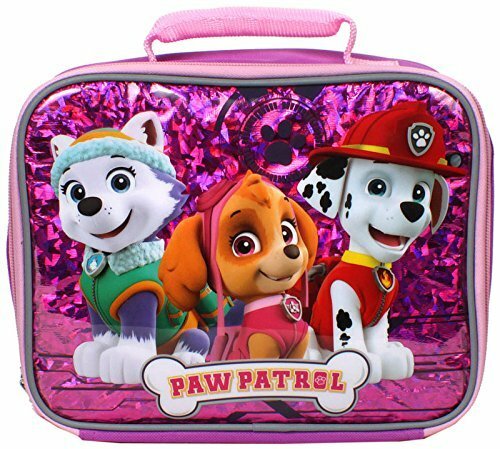 Looking for the Best Paw Patrol Everest Toys? 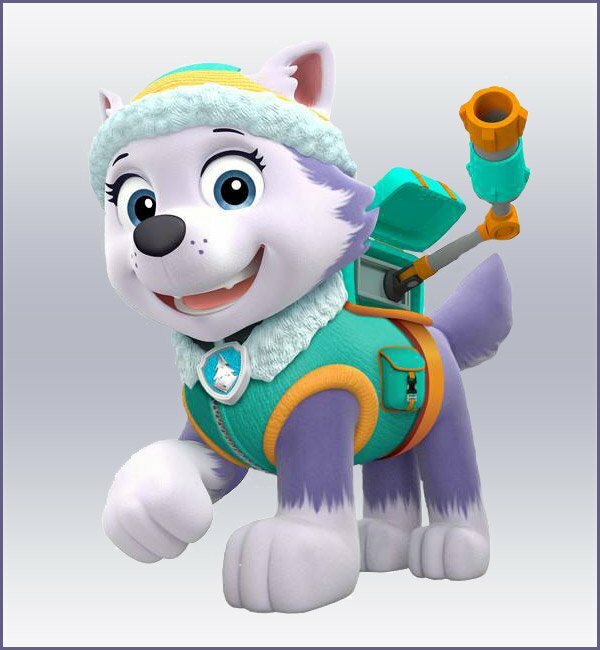 Everest is the newest member of the PAW Patrol rescue team and she just loves performing rescues. She is a a fun loving Husky pup and lives with Jake on his snowy mountain. While Everest always seems to be hungry, her loud and growling tummy sounds are really sometimes mistaken for a bear or even thunder! Needless to say,Everest’s absolute favorite treat is liver flavored puppy treats. 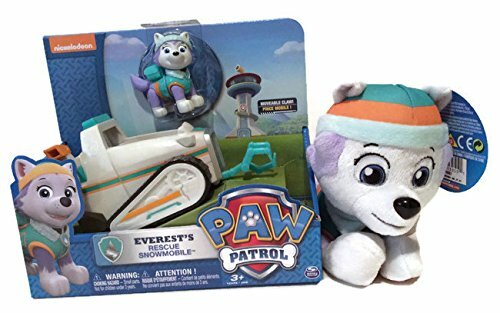 Everest is the second female member of the PAW Patrol team and is the PAW Patrol’s snowy mountain pup. 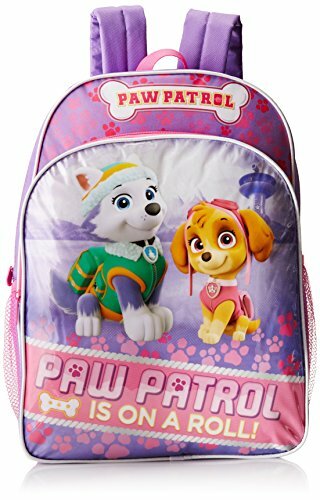 She is the seventh pup and canine member of the PAW Patrol team. Everest’s fur is grayish-lavender except for her paws, belly, and chestnut are white.Her tail is lavender also with a white tip at the bottom and she has blue eyes and white ears. 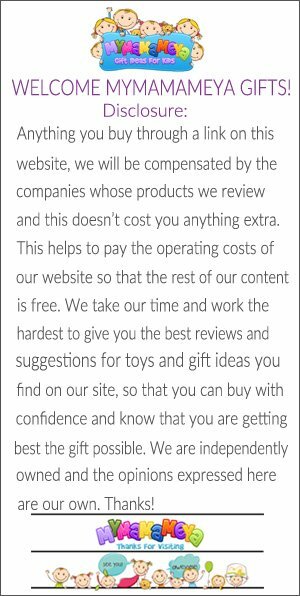 Now that you know a little about Everest I’m sure you’ll want to see what sort of toys are available. 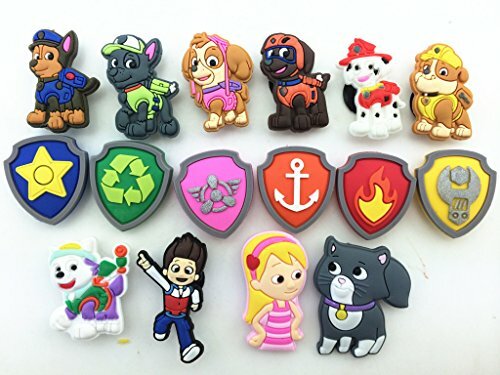 1 Which PAW Patrol Everest Toys Are Your Favorite? 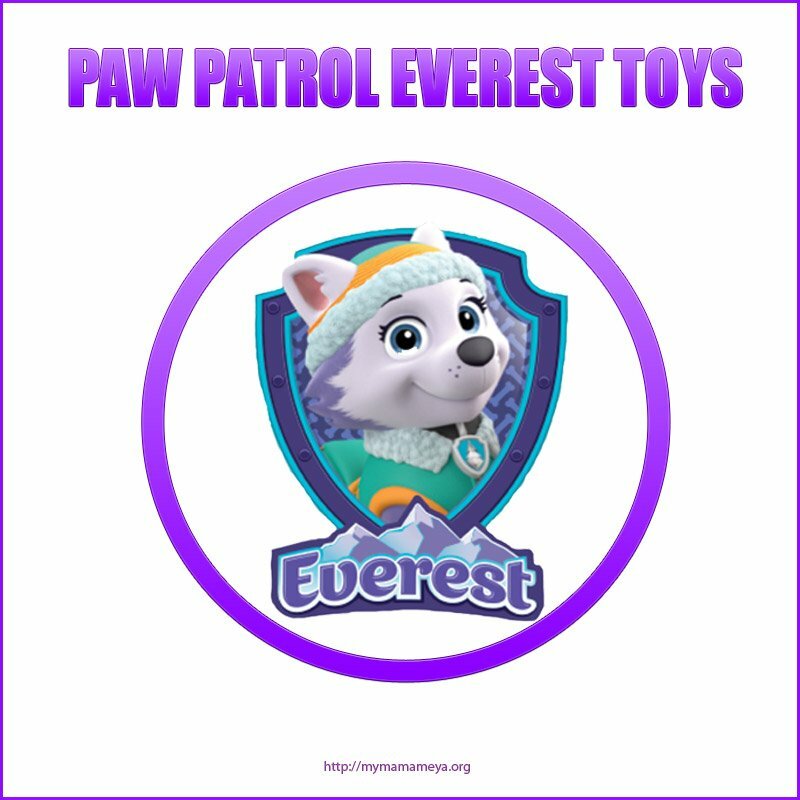 Which PAW Patrol Everest Toys Are Your Favorite? Snow and ice Everest is ready to go! Everest saves the day with her very own Snow Plow that has moving claws that are ready to clears any road. Everest rides in her snow plow and pushes the snow with no problem and no ob is too big or too small! 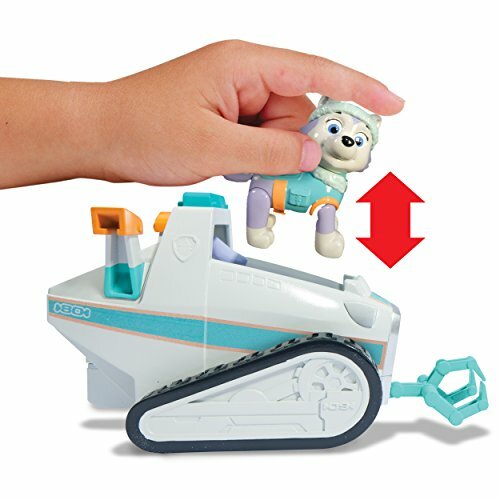 Everest’s snow Plow needs no batteries and is ideal for kids 3+ year and up. 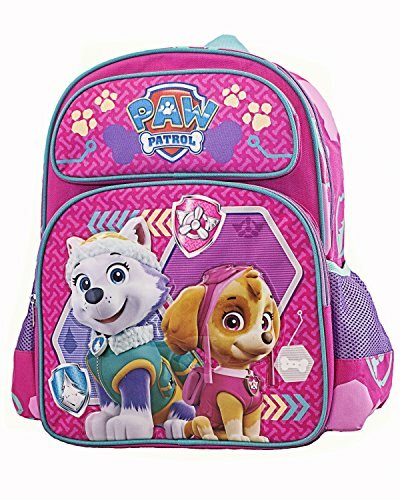 What’s Included With This PAW Patrol Everest Toy? PAW Patrol Everest is always ready to go! With Everest’s Grappling Hook she can grab on to anything and be assured she will be able to swing into action! All you need to do to transform Everest’s Pup pack into a rescue Grappling Hook like on the show is press her dog tag and she is ready to go. When her job is done her Grappling Hook transforms easily back into her Pup Pack. 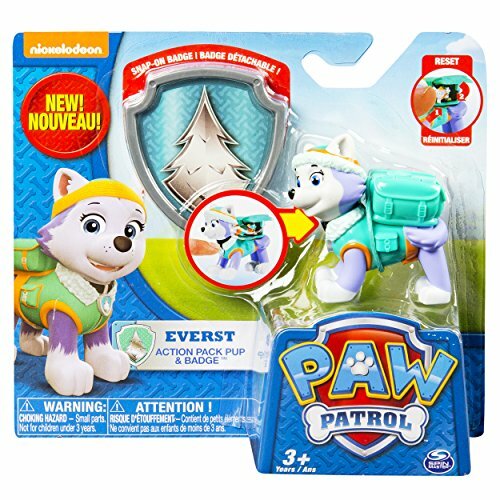 PAW Patrol Everest is perfect for kids 3+ and it is so nice to see that there are no batteries required for this toy. 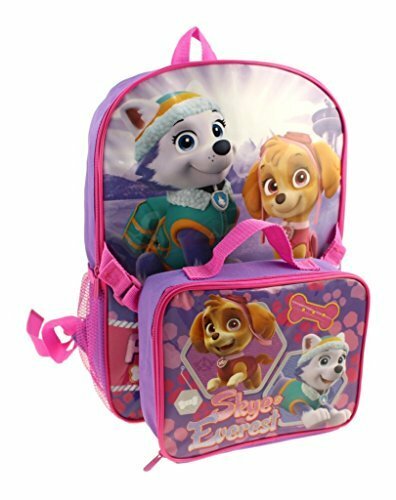 You get one action Pack Pup Everest that measures about 3 inches tall and one Everest Badge. 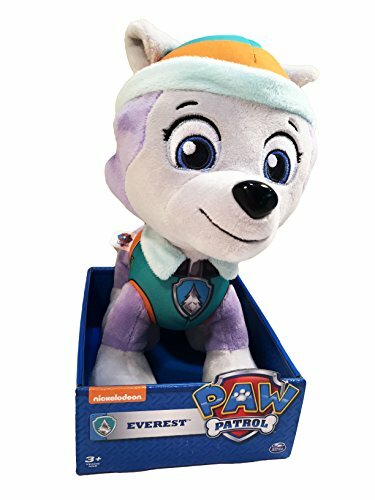 Now you can add Everest to your child’s collection of PAW Patrol Plush Pup Pals! 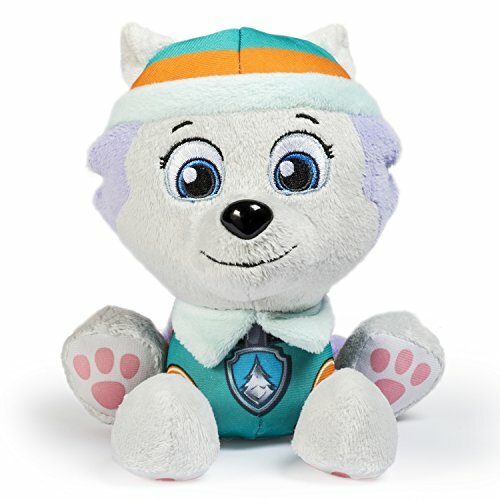 If you have a little one that is simply crazy over PAW Patrol then you’ll want to collect all their favorite plush Pup Pals. 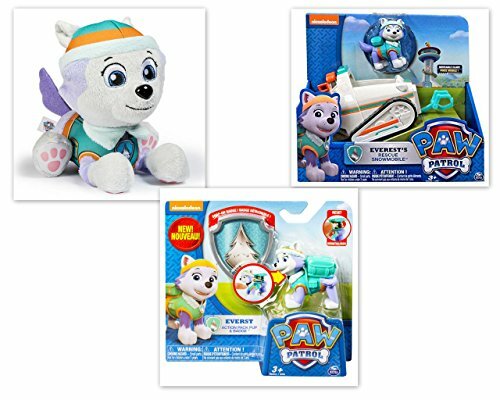 If you are thinking about buying all 3 of these PAW Patrol Everest Toys, you might want to think about purchasing them as a bundle. 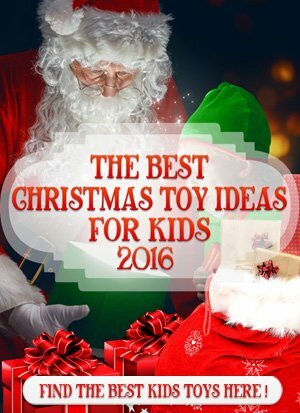 Doing this will save you money and buying them together will will give your little one the best gift ever! 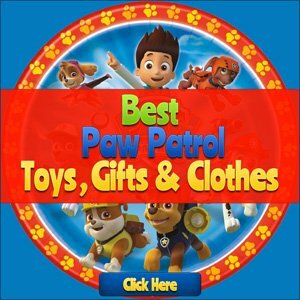 We hope that we have made it a little easier for you to find the perfect PAW Patrol Everest Toys that you were looking for and as new PAW Patrol Everest Toys come out and I’m sure they will we will have them here. 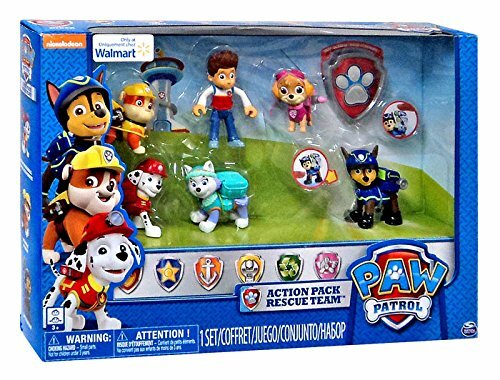 If you have any questions about PAW Patrol Skye Toys just leave them below and I get back to you as soon as possible.